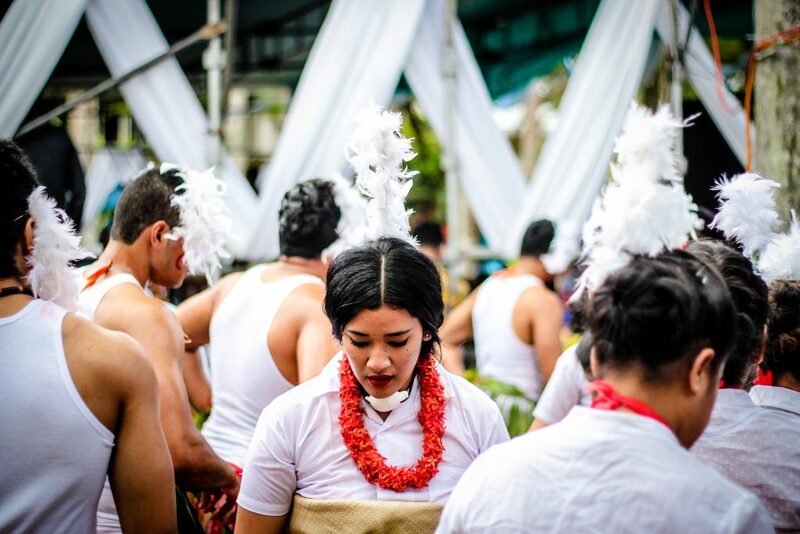 For many of us our awareness of who makes up our Aotearoa’s Pasifika people comes from being at events and festivals. 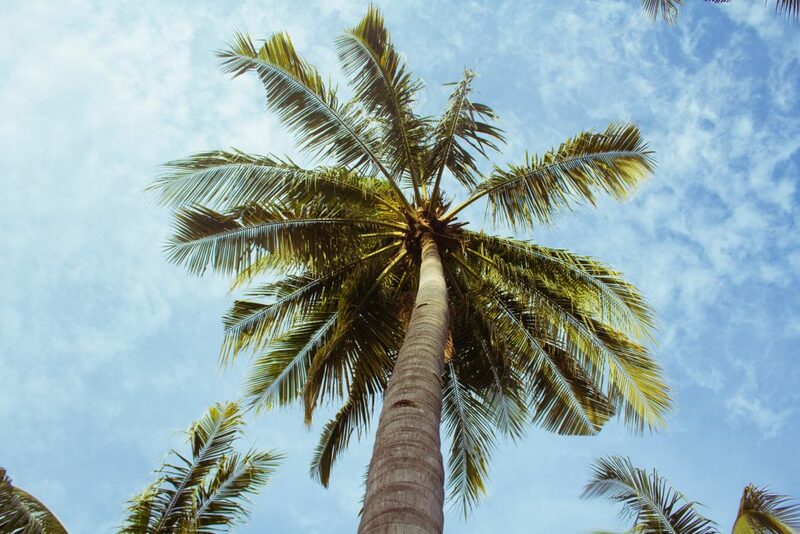 It is only while wandering amongst the stalls set up as community style villages that we appreciate the national pride that people coming from Cook Islands, Niue, Tokelau, Tonga, Tuvalu and Samoa all have. We see that no matter which island you originate from you share in common a love for music, a genuine community spirit, and food. And we can also see your wonderful differences, as you showcase your dancing, your national dress, and your songs. And yet, despite showcasing your differences to Aotearoa, when it comes to everyday life many of you continue to experience a world where you are required to fit in as though you are the same as our Aotearoa Pakeha. . You have our empathy because worse still there are many New Zealanders who stereotype you simply as an islander… often not respected in your own right as an individual. For many of you this might be in itself a lonely experience. And for many of you, your life is not easy. 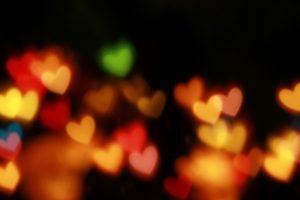 While you have your strong sense of community to help you not be alone in hard times, you also might struggle to let others know how bad you really feel not to cause them added worry, or anxiety…or that you simply feel ashamed for having these feelings. Again that also might bring a genuine loneliness as you battle through your inner emotions alone. So if you are one of the many folk who feels lonely as a result of being a Pasifika, or you know of someone who feels loneliness from this, then read on. In fact even if you suspect others might be lonely, and they stoically say they aren’t, it’s worth understanding loneliness better. ... your name pronounced properly without having to tell people. ... being misunderstood as argumentative. ... always having to work alone. ... living in an overcrowded home. ... when you can’t introduce yourself in your cultural way. … and in addition to these, you undoubtedly identify with many of the same loneliness problems that aren’t related to your ethnicity or culture. While you are part of a community-based people who lively closely together, this does not mean some of you do not become lonely. 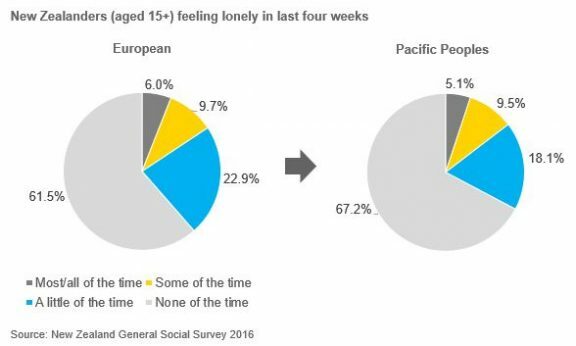 In fact, the prevalence of loneliness amongst Pasifika people is only a little less than New Zealand European with about one-third (32.7%) of Pasifika people aged 15+ feeling lonely at least a little of the time in the last four weeks. So you are not to be ashamed as a New Zealand Pasifika person if you feel lonely. At the same time, you should be proud of the relatively low prevalence of loneliness in your community. This shows that even while your Pasifika people struggle with issues that are typically associated with loneliness (such as unemployment, financial problems, no qualification, and low home ownership) you continue to support one another. Everyone at work speaks in “professional jargon” so it is hard to keep up with what is being discussed. Teachers constantly single you out which erodes your confidence. You have never had the opportunity to learn your national language. You are struggling financially and are too proud to ask for help. Your boss constantly gives you boring work while offering greater challenges to others. You don’t identify with your grandchildren who don’t value family life and your cultures the same way as you do. Some people talk about their loneliness; other’s don’t. Some might not recognise that they are actually suffering from loneliness. Misbehaving at school… in total contrast to how you behave at home. Disengaging from work… feeling low motivation to do more. Feeling guilty when you consider yourself… when your whole family’s values are about community. Withdrawing from your community service work… which had been a big part of everyday life for you. 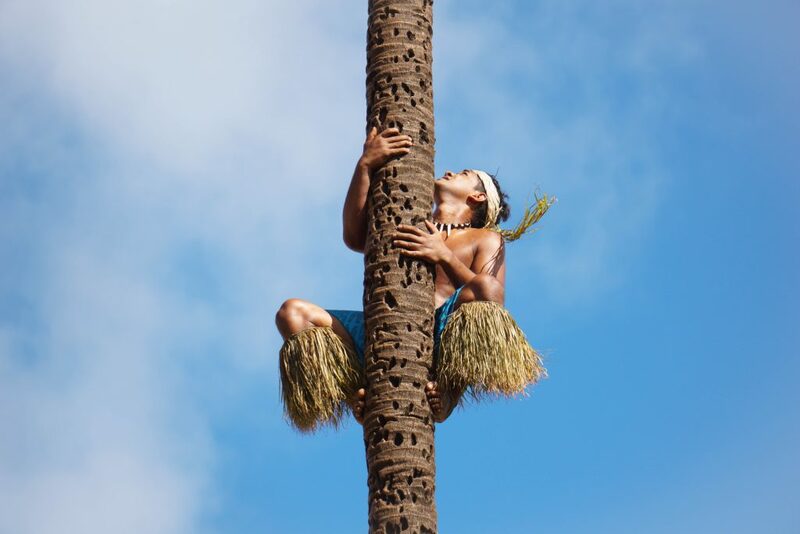 Becoming isolated from family and friends… when you do well in a business very different to other Pasifika. Limiting friendships to only socialise amongst extended family. People feel lonely for many reasons. 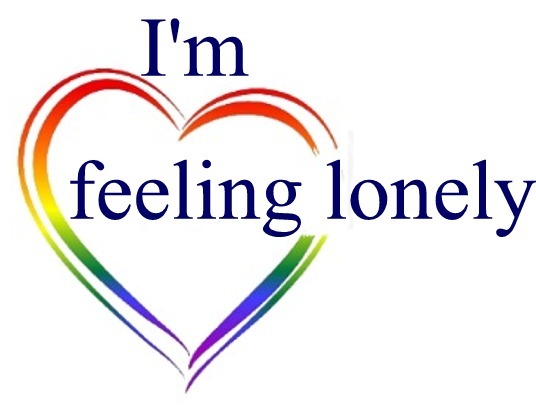 To learn more about other minority and lonely categories, select one of the coloured boxes below, or scroll down the “I’m feeling lonely” menu.